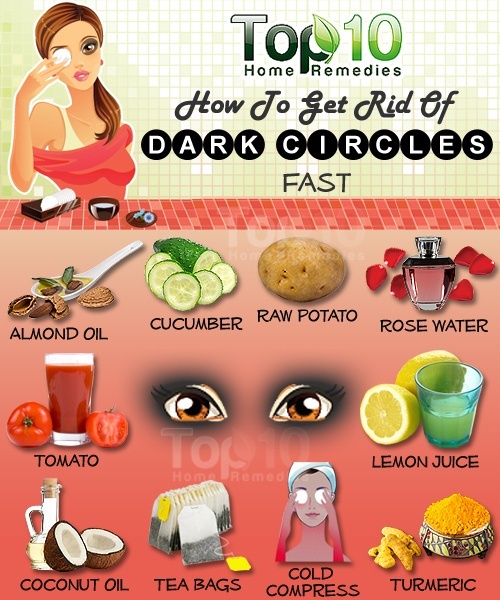 Here are the top 10 ways to get rid of dark circles fast. 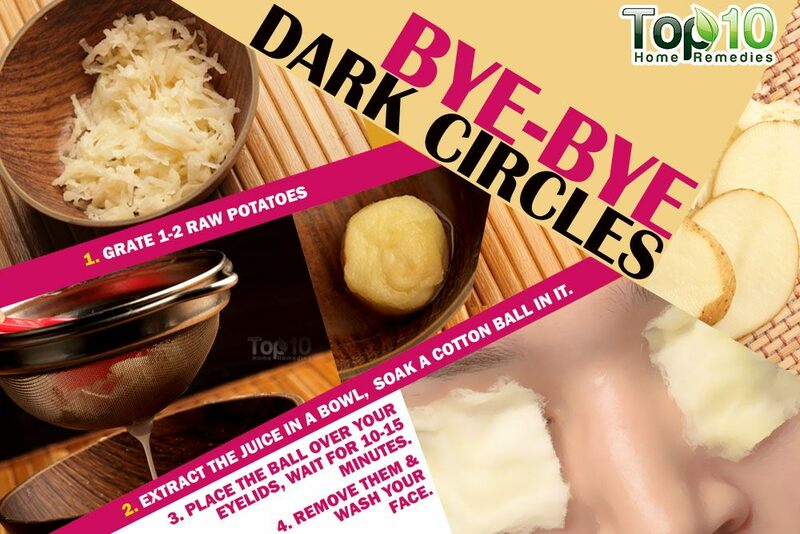 Massaging with coconut oil is another effective natural remedy to lighten dark circles. Due to its moisturizing quality, coconut oil also promotes smooth skin and prevents wrinkles and fine lines under eyes. 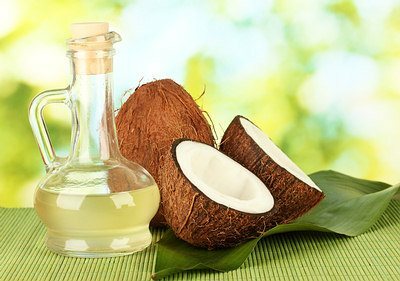 Simply massage some extra-virgin coconut oil on the under eye area. Leave it on for a few hours, and then wash it off. Repeat two to three times daily for a few months or until you are satisfied with the results. The caffeine and antioxidants present in tea can be highly beneficial for getting rid of dark circles as well as puffiness under eyes by shrinking the blood vessels and reducing fluid retention. The tannins, in particular, help decrease swelling and discoloration. Chill two used green or black tea bags in the refrigerator for about half an hour. Place one tea bag over each eye and leave it on for 10 to 15 minutes. Remove the tea bags and wash your face. Note: Be careful not to get the tea in your eyes. Cold compress can constrict the blood vessels under the eyes and help a lot in reducing eye puffiness and dark circles. 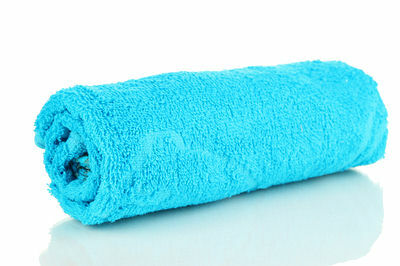 Soak a washcloth in cold water or cold milk. Put it over your closed eyelids for several minutes. Alternatively, you can wrap a few ice cubes in a soft napkin and place it under your eyes for a few minutes. 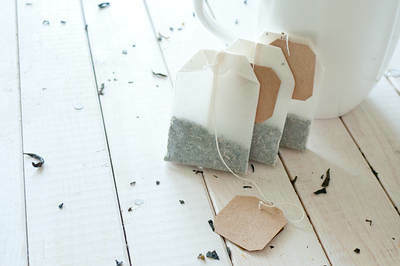 You can also use a bag of frozen peas, a chilled teabag or a cold spoon. Follow these remedies a few times daily. 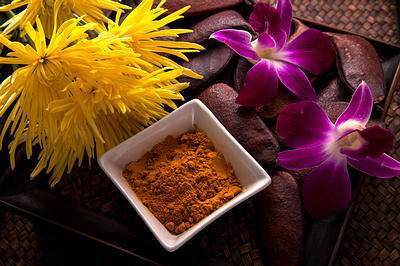 Turmeric has antioxidant and anti-inflammatory properties that can help minimize dark circles. 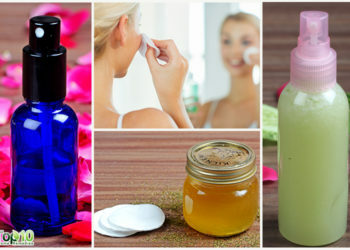 It will also make the skin around your eyes smoother and softer. Mix two teaspoons each of turmeric powder with pineapple juice to make a thick paste. Leave it on for about 10 minutes before wiping it away with a soft, damp cloth. Do this daily until you get positive results. Avoid rubbing your eyes too much or too often as it causes the blood vessels to dilate, thus making the under eye circles appear darker. Remove your make-up before going to sleep or else it may irritate your eyes. Drink plenty of water throughout the day to get rid of water retention that could be causing the problem. To avoid eye bags caused by pooling of fluids in your lower eyelids, elevate your head by adding two or more pillows under your head before going to sleep. Pay attention to your diet and eat foods rich in vitamins A, C and E.
Stop smoking and restrict alcohol and caffeine consumption; smoking damages skin cells, and alcohol and caffeine contribute to dehydration which in turn weakens the delicate skin around the eyes.